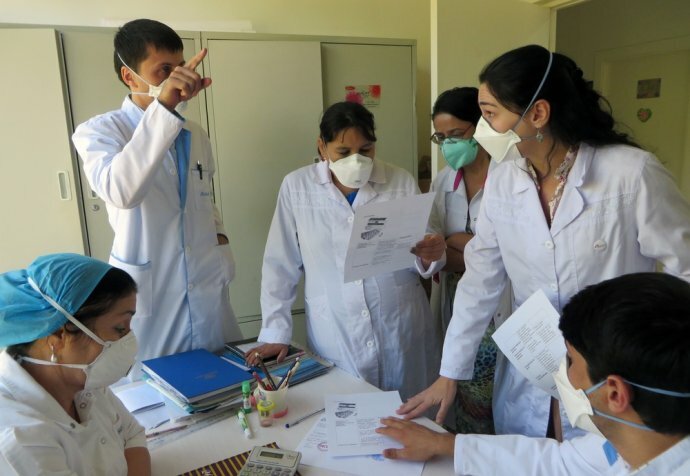 MSF began operating in Tajikistan in 1997, and since 2011, has been working with the Tajik Ministry of Health to implement a comprehensive paediatric tuberculosis care program. The coordinated effort between MSF and the Tajik Ministry of Health aims to demonstrate the feasibility of treating tuberculosis (TB) in children, and that even in its drug-resistant forms, the disease can be successfully diagnosed and cured. The model of care encompasses active case finding by contact tracing, testing, treatment, drug compounding (preparing personalised medications for patients), and the monitoring and management of side effects. Where possible, we aim to treat patients at home. 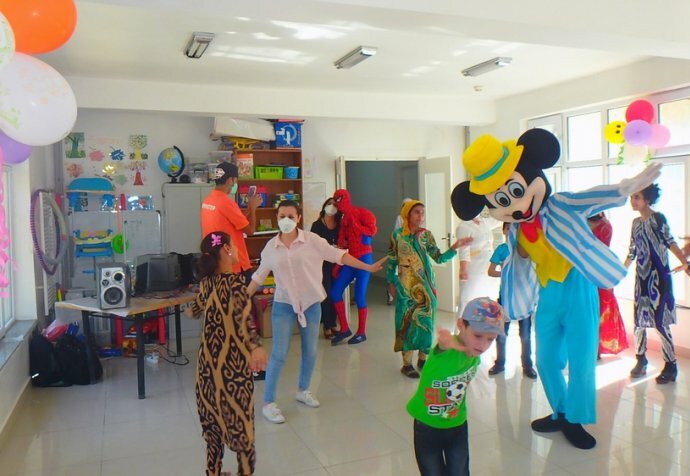 We also support the paediatric ward in Machiton hospital. The comprehensive TB project is ground-breaking, in that it uses new combinations of medications with children of all ages, with successful results. The program also offers psychosocial support, with adherence counselling and play therapy, schooling for hospitalised children, and care for children with HIV co-infection and/or severe malnutrition. In 2017, an updated, MSF-developed paediatric treatment protocol was adopted as a national guideline. In order to strengthen the Ministry of Health’s long-term capacity, MSF conducts training sessions with local doctors, nurses, and healthcare staff. In the south of the country, we run the Kulob paediatric HIV and family project with the objective of reducing illness and mortality of children with HIV/AIDS, as well as their families. The project focuses particularly on opportunistic infections (especially TB), preventing mother-to-child transmission, and infection control to prevent the transmission of blood-borne infections.